In 2017, South Plains College commissioned Economic Modeling Specialists International (Emsi) to conduct a study of the economic contribution of South Plains College to the service area economy. The basis of the study was to determine the measurable benefits of higher education, whether education is a worthwhile public investment, if students can increase their earning potential by taking college courses, and who benefits most from higher education - students or the general public. The following are highlights from the results of the study. 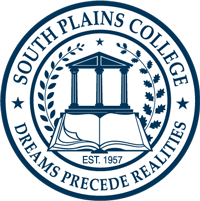 South Plains College stimulates the local economy by $399.2 million in added annual business income, roughly 2.6% of the area's gross regional product (GDP). SPC education and training embodied in the regional workforce where former students are employed increase local income by $312.4 million annually. This added income is equivalent to supporting 5,402 jobs. Student spending in the region adds an additional $36.7 million in added income to the regional economy, the equivalent of supporting 604 jobs. For every $1 a student invests in an SPC education, he or she will receive a cumulative of $5.20 in higher future earnings over the next 30 years. SPC students enjoy an attractive 17.7% rate of return on their educational investment at the college and recover all costs, including foregone wages while attending SPC, in 8.2 years. SPC provides a benefit-to-costs ratio of 5.2. That is to say that every dollar of state or local tax money invested in SPC will have a cumulative value of $5.20 over the next 30 years. By the same token, taxpayers can expect to receive a 13.0% rate of return on their public support of the college which means that SPC not only pays its own way, but also generates a surplus that state and local government can use to fund other programs. State and local governments avoid $1.6 million annually in social costs as a result of improved health, reduced crime and reduced welfare and unemployment attributed to higher education. Society as a whole within the State of Texas will receive benefits totaling $2.5 billion in higher earnings and social savings that will occur over the working lifetimes of the 2015-2016 student cohort that was the focus of this study. For every $1 that society spent on the SPC 2015-2016 educations, society will receive a cumulative value of $18.40 in benefits over the working careers of the student cohort. The study examined the College's impact on the Hockley and Lubbock County economies based on 2015-2016 student, academic and financial data from the College, industry and employment data from the U.S. Bureau of Labor Statistics, earnings and demographic data from the U.S. Census Bureau, and a variety of studies and surveys relating education to social behavior. Complete results of the study including the methodology used to calculate economic impact can be downloaded in PDF format from the links below. Adobe Acrobat Reader is required to view these documents. For more information, contact the Office of Institutional Advancement at (806) 716-2218. EMSI is a leading provide of socioeconomic impact and strategic planning tools to institutions of higher education in the U.S. and Canada. You can visit them at www.economicmodeling.com for more information.